Most of the time when people attend a football game they spend half-time going pee, getting something to eat, or basically ignoring whatever is happening on the field as it is usually boring. But this time the half-time show delivered a performance that was pretty damn awesome if you happen to like video games. 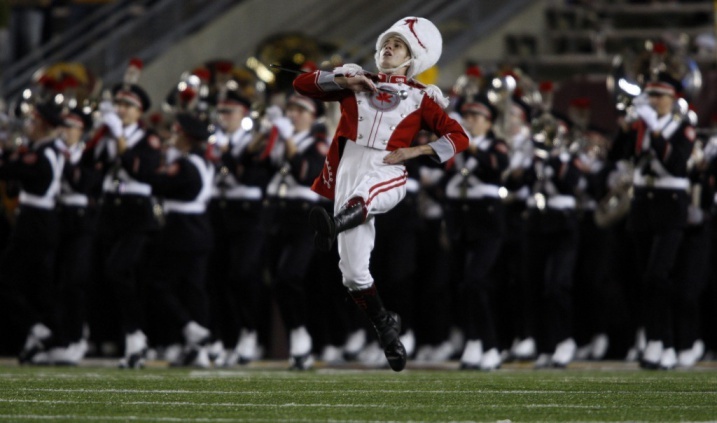 To the Ohio State Marching Band, I salute you. You actually made watching a football game interesting.